I’m feeling kinda book-stalgic (see what I did there?) so I thought I’d share some of my first bookish moments. 1) First trip to the library: My first library trip was when my family and I lived in the city (which- I’m sure I don’t need to say- was pretty dangerous). My mother and I would make regular trips and since I was only three years old, she would read books to me. I don’t think I remember ever borrowing the books to bring them home though I may be wrong. 2) First book without pictures: I don’t remember the title but it was a Mary-Kate and Ashley book. I was obsessed with them. 3) First adult novel: I was about eight years old. In my defense it was a romance book about adults and there was nothing that happened. (It was a really old novel so I’m assuming that’s the reason why. The characters never even kissed- and they were married). 4) First book I bought with my own money: Breaking Dawn by Stephanie Meyer. I saved for this book for ages. I literally handed coins to my father and asked him to buy me the book (it was R135). This purchase led to me buying the entire series- which I snuck home since my parents didn’t want me to buy the books in the first place- and it also led to my habit of buying books and sneaking them into my room without telling my parents. Thankfully my parents accepted my book addiction soon after that. 5) First eBook: The Vampire Diaries by L.J.Smith. Okay so when eBooks first came out, a very nice reader of my fanfiction emailed me pdf copies of The Vampire Diaries books. Of course NOW I know you’re not supposed to email ebooks but I had no idea at that time. I really enjoyed the series though and ended up buying all the books (up till Midnight which I paid well over R100 but still haven’t read because it physically pains me now to read that series). 6) First book ordered online: A few years after I first discovered Readers Warehouse, I found out that they delivered! This made me so happy because their only stores were in Joburg and Cape Town. I immediately ordered Crystal Cove by Lisa Kleypas and the first three Demon Trappers books by Jana Oliver. 7) First book I cried over: The Divine One by Danielle R.Mani had me sobbing like a baby. 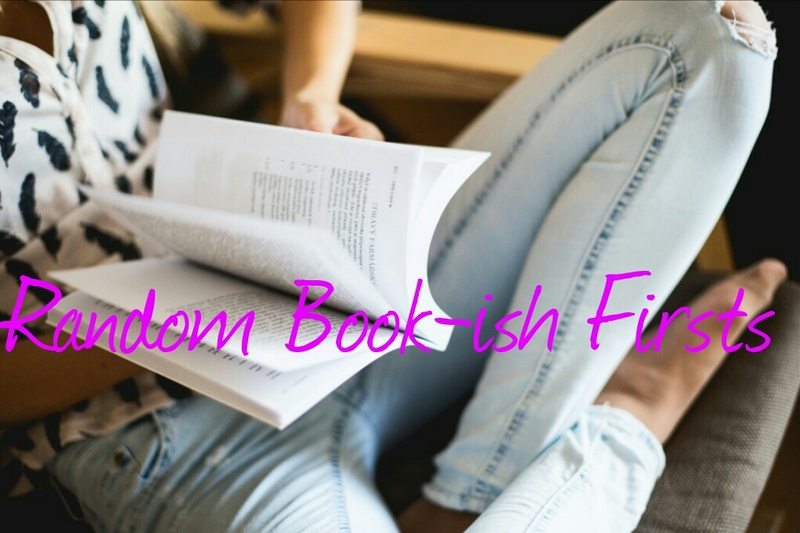 What are your bookish firsts? Feel free to share them below. (This blog post contains an affiliate link which means I earn a small commission each time you purchase something from the link).